Fig perfumes – for me – are very easy to love. They have everything I crave in a summer perfume. Fresh, green, a little fruity, woody, leafy-grassy, complex but instantly recognizable, a fig scent makes me happy. One of them is Un Jardin en Mediterranée by Hermès, but it has a sadness to it, that is not always what I want. But in my collection are three others (one full bottle from time immemorial and two samples) that work as happy, but by no means brainless, fig perfumes. They are similar, but have distinct traits of their own. Let us compare them all in one post. L’Artisan Parfumeur’s Prémier Figuier was, as the name suggests, the first fig perfume on the market (according to Florian), it was created in 1994 by Olivia Giacobetti. Notes include fig, fig leaf, milk of almond, sandalwood, and coconut. 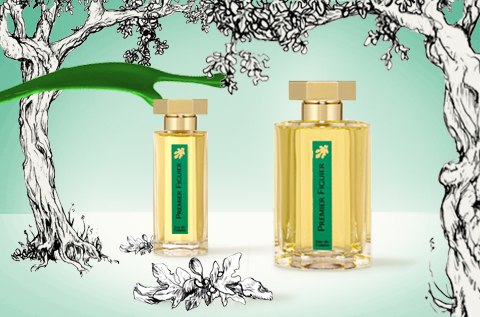 Prémier Figuier is a wonderfully natural and complete rendition of a fig tree. I love how it olfactorily depicts the tree from top to bottom, everything is in there. The wood and bark of the trunk, the fresh green leaves, the flower buds, the fresh fruit itself, when I smell Prémier Figuier I cannot but see a tree before my inner eye. A tree complete with the shadow it provides, inviting me to sit and take a moment to breathe and enjoy. I feel the fresh, green grass beneath me, I feel the bark pressing into my back, and I feel calm what ever I am doing at the moment, no matter how distraught, one breath can center me again. No wonder a small vial always is with me in my bag! I use like a smelling salt, a little spritz on the back of my hand is enough to do the trick. Philosykos by Diptyque is certainly the most famous fig perfume there is. Also an Olivia Giacobetti creation from 1996, it is cleaner, more spare and streamlined than Prémier Figuier. This was my first fig perfume, I believe I bought it not long after if came out and it is one of the few who made it over from the time of olfactory innocence into hard-core Perfumista-dom. Notes listed are fig tree leaves, wood and white cedar. The third one for today is not solely a fig perfume, but includes a whole garden, a specific one on the Cote d’Azure actually, the garden of Villa Kerylos, a villa built in the style of ancient Greek mansions. 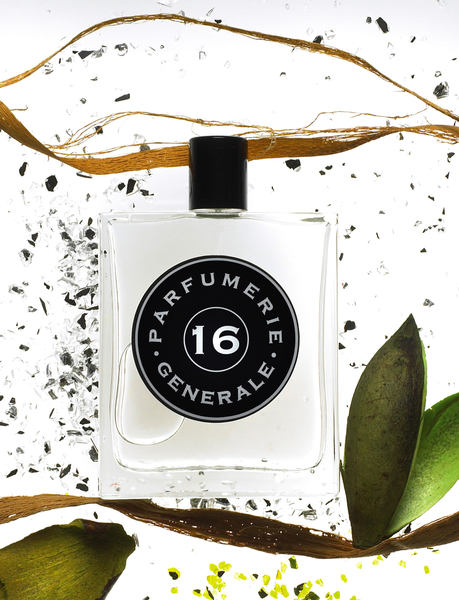 In my mind fig is very prominent in Parfumerie Génerale N°16 Jardins de Kerylos though. Notes include fig, sycomore and musk, it was created by Pierre Guillaume in 2006. If I had to pick a favorite it would be Philosykos, for sentimental reasons on the one hand, but also for its utter wearability and ability to refresh and delight me in the summer heat. Prémier Figuier is great in its function as a calming agent, the small vial will certainly stay in my handbag. This entry was posted in Diptyque, Floral, Fragrance Reviews, Fruity, L'Artisan Parfumeur, Parfumerie Generale, Woods and tagged Diptyque, Fig, Fig Leaves, Fig Note, fig tree, Fragrance, L'Artisan Parfumeur, Olivia Giacobetti, Parfumerie Generale, Perfume, Pierre Guillaume, Review. Bookmark the permalink. In fact, figs might be the main reason I’m every year so much looking forward to our week in Provence – I love figs : the white ones, and blue ones, and green ones, small ones, big ones, all of them. I don’t need any dessert after our sumptuous meals, when I can have a bowl of figs. Sometimes, I don’t even need a meal, when I can have the figs… Since I encountered my love for figs years ago I was looking for the ultimative fig scent, but to be honest, I was looking for the fruit in it, for that complex, undefinable honeyed and tipical fig aroma – no leaves and twigs and the grass around. Strangely and surprisingly (to me) I more and more reach to a parfum I haven’t taken seriously for a long time : Nez a Nez (you reviewed recently… 🙂 ). Still, I need to test PG’s no. 16. Figs and I… well, I like to eat them, but I have not yet found my figgy-fragrance. Phylosykos is very nice (I may wear it today just to re-try it), but it didn’t feel quite right the first few times that I wore it. Premier Figuier was a total scrubber! Blech! One of only a small handful that I’ve actually met, and I haven’t tried the PG (yet). Like Lady Jane above, I’m interested in a ripe-fruit fig, rather than the green/twiggy/earthy fig, and can’t seem to find it! I tried the Aqua Allegoria Figue Iris, which was very pretty, but ultimately too wane; the Jardin went sour to my nose. If you remember what that fruit-oriented one that you like was, please share! In any case, Olympic Orchid A Midsummer Day’s Dream is great. … And I’m back! I’m wearing Philosykos, and I decided to layer it with Bronze Goddess (the bottle was calling to me on my way out the door to work), and the two together are a match made in heaven! This morning I put on Premier Figuer (the Extreme version- I only have a few drops left in a sample, though I wore for a long and very important time of my life the original version), after having read your post I spritzed a bit of Philosykos on my left wrist and began the conparison! I would say that I slightly prefer Philosykos, its airy, weightless and aromatic quality (on my skin it gives a weird but extremely pleasant notes of marjolaine!) makes me imagine it as a big silver white- green bubble drifting in the wind… very summery! Fortunately I don’t feel it “damp”, as you say, as I’ve recently discovered that I can’t stand acquatic fragrances anymore! Premier figuer is darker, more doughy and creamy, thanks to coconut, and with a prominent sandalwood drydown: I find it quite sunny and warm but a bit heavier than Philosykos. Premier Figuier Extreme is even more coconutty and creamy. I like this one too. I love Philosykos too. I’ve only tried the Extreme version of Premier Figuer from L’Artisan, and that’s very nice too, but I too prefer Diptyque’s version over all others. The green burst of freshness I get from it, tempered with the milkiness of the fig note is utterly charming. Charming is just the right word! I prefer Philosykos to the l’Artisan figs. I like that it’s clean, green and woody, where the l’Artisan seem more floral. But I do like the sandalwood base of Premier Figuier better than the cedar. Bois Naufragé has been on my to sniff list for years now, and always gets bumped back. No longer, you make it sound so lovely! Did you try Jardin en Mediterranée? I like figs both in my meal and in my perfume. So far my favorite fig is Jo Malone’s Wild Fig & Cassis (I ran it side by side with Philosykos and liked WF&C slightly more). One fig that was absolutely horrible on me was Annick Goutal’s Ninfeo Mio (but I enjoyed it on paper so it must be my skin). I never smelled the Jo Malone. As you said, you probably answered your own question. Philosykos is not very creamy, it is drier and more green-woody, Premier Figuier has a little more emphasis on the fruity-milky aspect of the fig tree. I discovered another very nice fig in the meantime, Parfumerie Generale Bois Naufragé, review will be up in the next few weeks. But of those presented here I would go with the L’Artisan if I were you. What happened with Penhaligon’s? Which one was a mistake for you? Firstly thanks for your reply, I am glad you enjoy our secret archieve talks rather than feel like I am pestering you, which I am but only because I bow to your olfactory experience. 🙂 I will go ahead and aquire a premier figure although I may hold off until I have read your Parfumerie Generale review. The Penhaligons were both a mistake for me sadly, I quite liked the Cornubia at first though it does go very sweet on me in the drydown, I was ok till my daughter said I smelled like vanilla and hospital, not a smell I was going for. The Endymion again initially was ok but I think its the Lavender that disagrees with me in the drydown, Lavender has always been something I have hated (and I don’t use that word lightly) the smell of. Both are on ebay for sale (hoepfully at a profit so I dont kick myself too much) I keep trying though, still liking my Mure et Musc and Jour de Fete although I see the Jour de Fete is becoming a collectors item now that it has been discontinued. I love Philosykos and just picked up a bottle for myself. 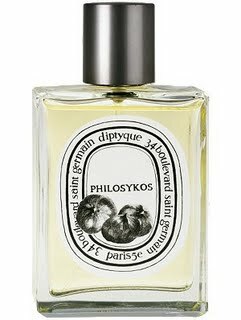 I also like L’Artisan’s fig fragrance, but I went with Philosykos. Another fig fragrance I own is Acqua Di Parma Blu Mediterraneo – Fico Di Amalfi. Have you tried this one? I really like it. I feel like it has a stronger emphasis on fig leaves rather than the fruit, but I like it for a sweeter green fragrance. I bought it during the winter, but have found as the sun peaks out I am reaching for it more often. What is your opinion between Philosykos Eau de Toilette and Eau de Parfum? Thank you for your time. Amalia, I’m sorry that I can’t be of help. I have yet to smell the new EdP, when I do, I will surely comment on it. I do adore figs! What a delightful review to read on this snowy day! Thank you. Premier Figuere is a joy; so deliciously sharp and woody. Recalls my time in the Navy and the smell of the deck wax! Happy days. I would love to hear your thoughts on Superdry Purple Neon. I tried it this week and it is utterly lovely. Warm dry figs and pear notes. Truly sumptious! A treat for the nose. Unfortunately I’ve never heard about Superdry (a Google search revealed it to be a British thing) so I can’t comment in that, sorry. My first ever fig frag was un Jardin en Mediterranee and I didn’t love it at first. It was only when I wore it in blazing sunshine that I felt it worked for me. I was surprised to read that you found it a little melancholic. It has the complete opposite effect on me. It literally makes me smile like a madman. I find it a perfectly sociable scent and is one that I’ll often choose when meeting friends for an afternoon drink in the sun. I noticed from your review of it that you can detect the slight decomposition of elements – perhaps that is what makes me smile. Perhaps it is an unconscious and faint reminder that our time is fleeting, each moment is special. I also own Premier Figuer and again it was not one that immediately fell in love with. It is a much more natural scent to my nose and completely different to the Jardin. 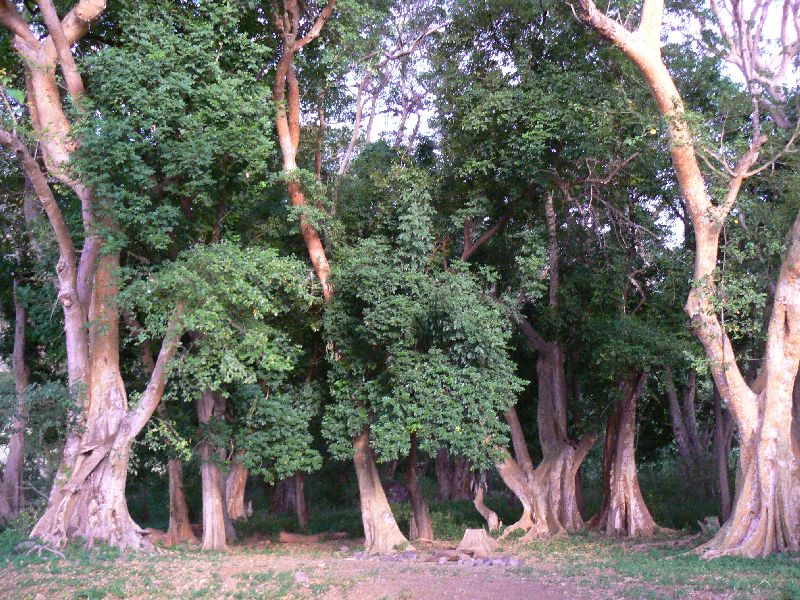 I truly love it nowadays and will spray my sleeve with it before work on certain days where I wish to escape for a few moments beneath the dappled sunlight of a solitary fig tree in the middle of nowhere. Beautifully put, Cain. Fig scents can be such great mood enhancers.